Definitely the most glamorous event this summer, the Starlite Gala was held last weekend at the Hotel Villa Padierna, where big names were there to support the charity event. Antonio Banderas, Eva Longoria, Sandra García-Sanjuan and Maria Bravo were the organisers, and were joined by 500 guests who had paid more than 800 euro per head (with 150 dissapointed guests left on the waiting list). 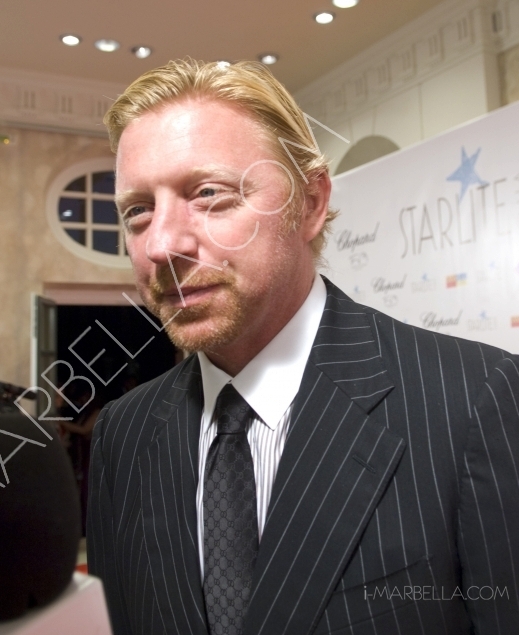 Many celebrities attended the event including Melanie Griffith, Tony Parker, Carmen Lomana, Luis Alfonso de Borbón and his wife Margarita Vargas, the two famous journalists Carlos Herrera and Mariló Montero, Boris Becker, Adriana Karembeu, and many others. To raise money for the three charity organizations : Eva's Heroes, Niños en Alegria and Lágrimas y Favores, many exclusive celebrity experiences were auctioned inluding spending a day with Eva Langoria on the set of DESPERATE HOUSEWIVES in Los Angeles, which raised 25.000 Euros, grace the red carpet with top model Eugenia Silva on the opening ceremony of the Cannes Film Festival, Experience the MTV Music Award and the After Party with the artists, but the highest experience auctioned was to be Antonio Banderas' special guest at his Broadway Musical Zorba and dine with him, which raised 225.000 Euros. The first Starlite award went to Deepak Chopra, famous spiritual leader of XXI century, while artists like Tamara, David de Maria, EBS, Manu Tenorio, Angela Carrasco, Flamenco dancer Rafael Amargo, Chenoa all put on great performances for the guests.